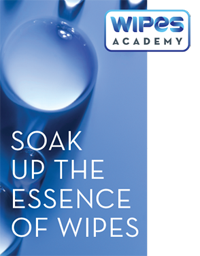 From wipes design and production to cost implications and packaging, the two-day WIPES Academy is centered on every facet of the multibillion dollar wipes product and marketing sector­ from raw materials, converting, wet and dry wipes to medical, industrial, and consumer wipes. The course is essential for technical and management professionals interested in learning the research, development, and manufacturing of wipes. Additional Fees Applied. Pre-registration is required. Start your day with a continental breakfast each morning before the conference and engage face-to-face connections with your customers, business prospects and peers. INDA’s staff can help make any introductions you need – just ask us. Moderator: Jeff Slosman, President, National Wiper Alliance Inc.
Rick Morgan, Global Marketing Director - Infection Prevention, Diversey, Inc.
Jonathan Layer, Business Development Manager - Americas, Fibertex Nonwovens Inc.
Joy Untch, Manager, Nonwovens And Construction Innovation Tech Services, OMNOVA Solutions, Inc.
Rebecca Mick, Technical Sustainability Lead / Research Scientist, Bemis Company, Inc.
Andress Johnson, Technical Manager, Personal Care & Household, Thor Specialties, Inc. The WOW program is subject to change. The opinions expressed during the conference are those of the speakersand not necessarily that of INDA or its Board of Directors.